I celebrated another friend’s 40th Birthday this weekend. Besides that most of the group was ready for bed by 11:00, it was a great time and a chance for me to reconnect with many friends that I haven’t seen in a long time. Thanks again Nelly – Happy Birthday buddy! My 40th was back in December and I have been meaning to write about it since then. 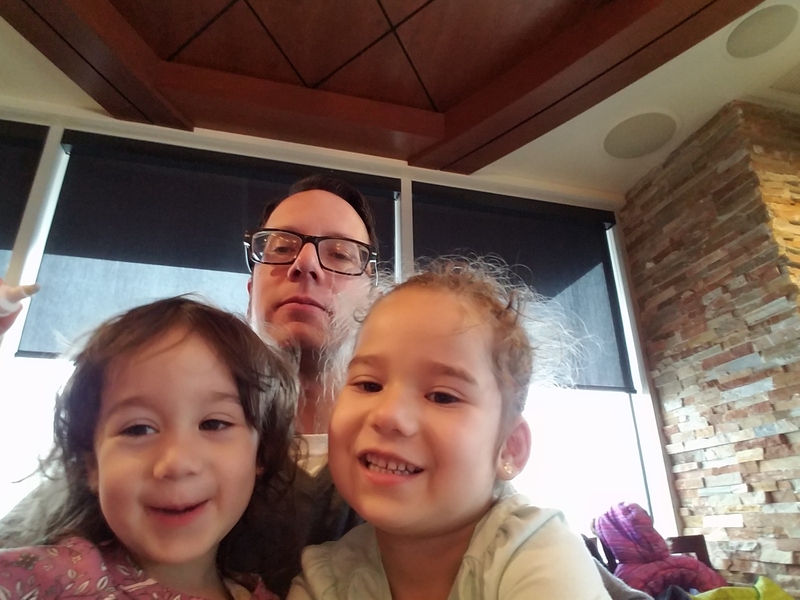 The first reason for the delay is a pitfall that I have fallen into many times since starting this blog: I wanted to write the perfect post about turning 40. Yeah, that post eluded me because of the second reason for delay: I was not inspired by this milestone. It’s a weird situation and one that I’ve been chomping on for the past three months. The “thing” has nothing to do with our celebration. We actually had two celebrations, with both sides of our families, and both around meals (food being one of my favorite things). And it’s not so much about getting older. I mean, I’m not happy with all the changes I’m experiencing with my body, but we all get older so that’s just life. I thought it might have to do with my current position in life. Granted, I have friends who are making six-figure salaries, others who have tripled the bottom line of their family business, but they don’t all have kids. And you can’t really compare to children – I mean, c’mon, priceless. So it wasn’t any one of those things, but at times my lack of enthusiasm was caused by a bit of all of those things. And so I’ve passed the last three months doing a lot of thinking. Reminiscing on “old times” and remembering all of the life that got me to this point. And thinking about the future, like what will I do when both girls are in school? After the past two friends’ birthdays I decided it was time to put thinking aside for a night and do some writing, so here it is. I don’t know if it is the perfect post about turning 40, but I put this out there for any of you getting ready for this birthday (I celebrated with many of you on Saturday!) and for those of you who have also recently passed this milestone. It may take a minute, but I hope you find a happy acceptance of this new decade. While we were celebrating on Saturday many of us were joking that “40 is the new 30”. Looking at a picture of me taken ten years ago, at a 30th Birthday Party, I recognize that there is very little about me that is new. But it is a nice thought. I know that I am older now than at the start of the detour (deep, I know). And I do think I am more wise, but only because I pay attention. I am thankful for all I have to show for my time so far, and honestly, I think I am settling in with this 40 thing. As Sister Scales-of-Justice shared with me, “Celebrating turning 40 definitely beats the alternative”. What better way to prepare for a fresh weekend than to share our adventures from last week’s 4-day weekend! Thanks to the end of the trimester and staff retreat, we had four days to adventure last weekend. (Obviously, this week has been busy as we try to get back on track and get our inner clocks re-aligned.) So what is the best thing to do when faced with a long weekend and two children under 5? Get busy! 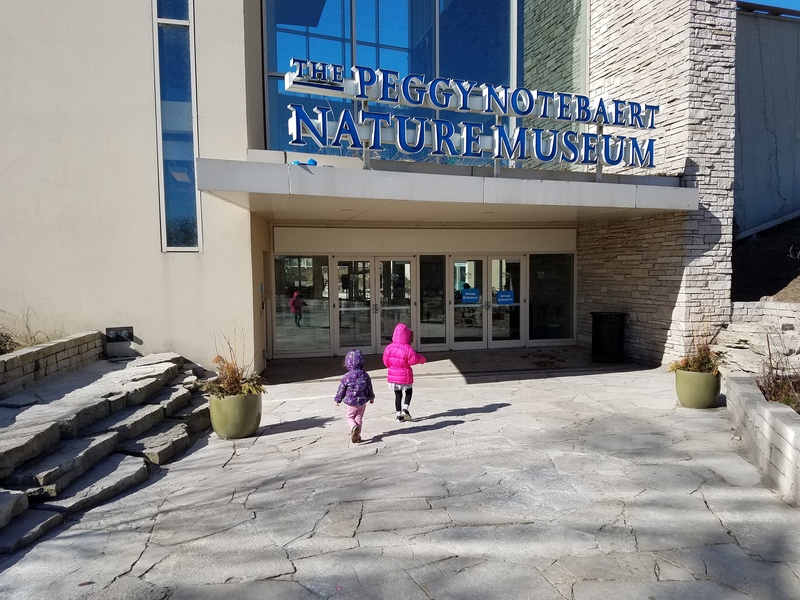 Wife was busy on Friday, so the girls and I headed to Lincoln Park to check out the Peggy Notebaert Nature Museum. Wife and I had attended a fundraising event here many years ago so it was great to get back over for some exploring. And as you can tell by the bundled children, it was a perfect day for indoor adventures! The girls were off and running as soon as we got inside, so we had to find something cool to check out quick. 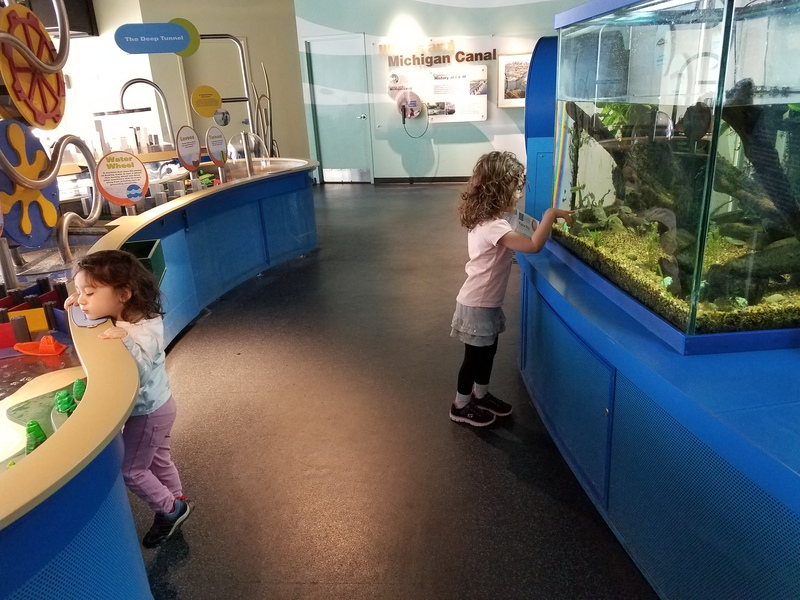 They loved the interactive exhibits, the first being an exhibit all about water management explaining the different structures for moving and utilizing water. I think the girls understood it as, “Water! And boats! Fish too!” Needless to say, they weren’t really into the history-oriented exhibits. 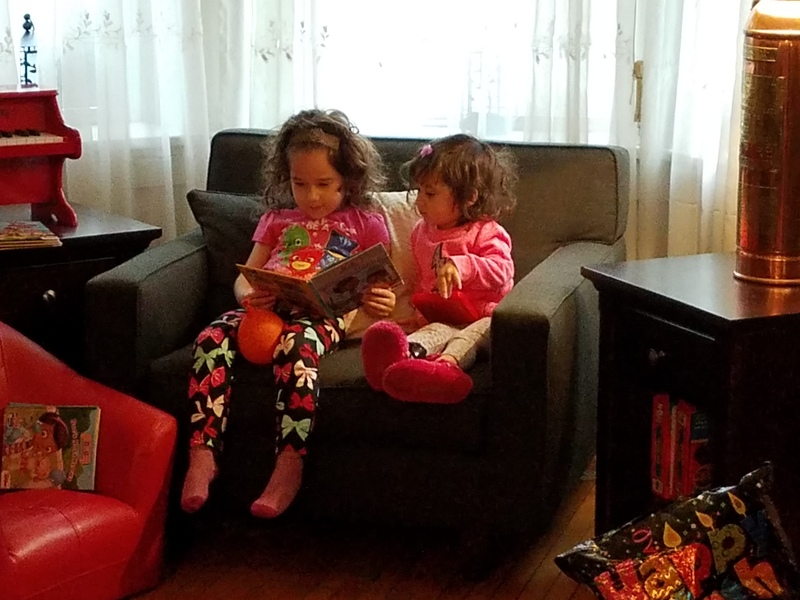 Without a doubt, the girls’ favorite spot was the play area in the basement. 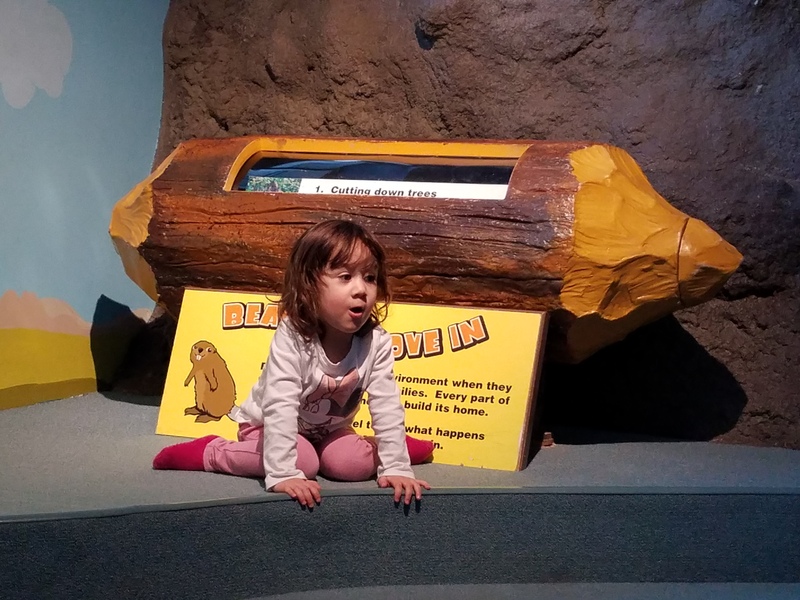 It is set up as a marshy environment, complete with a tree-like play fort, a cave and a beaver lodge. Beaver? Cat? Go with what you know. And did I mention the costume/serape things they had for the kids? One in frog design and the other in a beaver design, these were great for being dragged around the room, sat upon for faster sliding and general sharing of all germs that kids can carry. The girls loved ’em. Beaver? Ewok? Eh, cute either way. I liked this area for two main reasons. 1.) It has a fence and therefore keeps the children contained, and 2.) It has its own private bathroom. Which we all put to good use. So the adventures stretched from the morning to the early afternoon and the girls were plenty worn out afterwards. 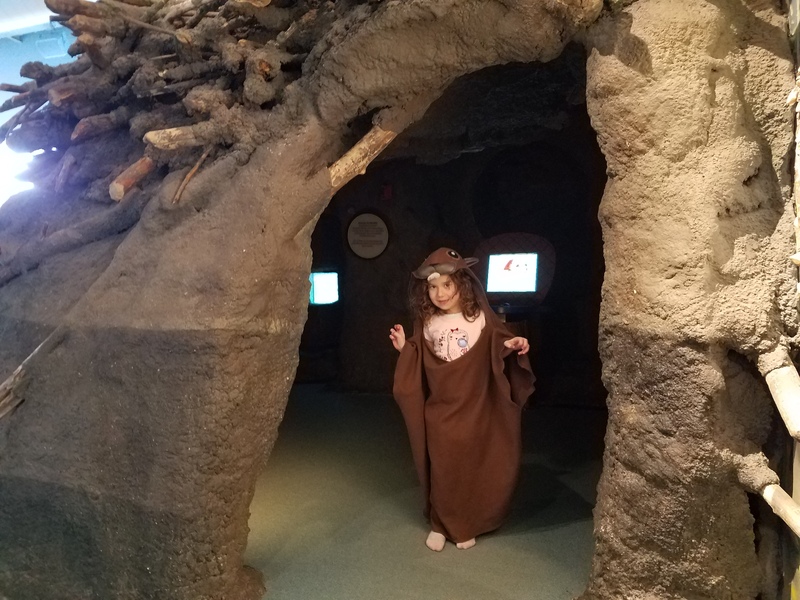 Another major attraction at the museum is the butterfly pavilion, but I was so busy keeping the girls calm that I didn’t try to snap any photos. Who knew butterflies were creepy?!? 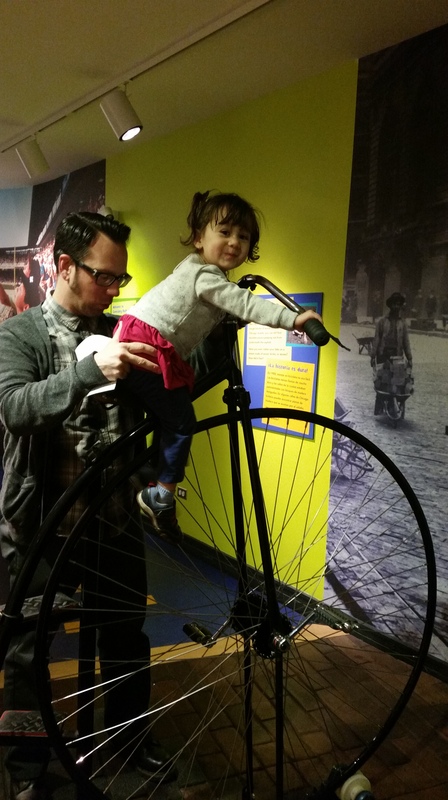 Wife was free on Saturday, so we headed to Old Town to visit the Chicago History Museum. Wife couldn’t believe it was my first visit. There she is with Sweetie in the bottom right corner of the photo. Again, too cold to play outside. 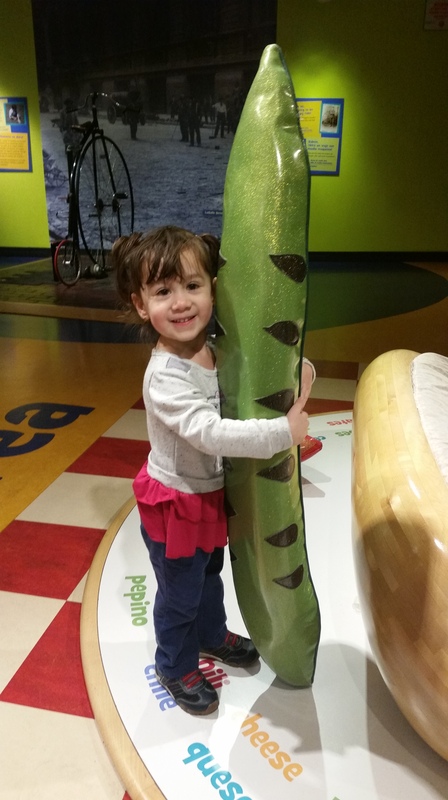 So the girls’ interest was the same as at the nature museum: if it was interactive, it was awesome. And while neither one of them would be a hot dog, the condiments got plenty of love. And the trains. 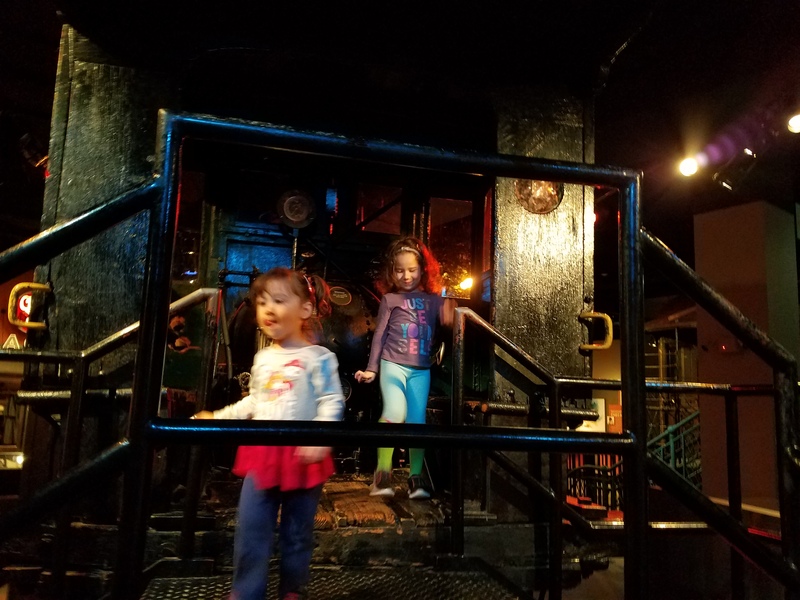 They loved checking out the trains. There is an early locomotive as well as an early passenger train (precursor to our beloved CTA trains). The girls visited these a few times. Places to go, ya’ see. We hit an educational movie and tried to read some of the information in the exhibits, but the girls kept moving. Sweetie picked up a couple of tidbits about the Great Chicago Fire, but I think it was an attempt to understand an event so big. 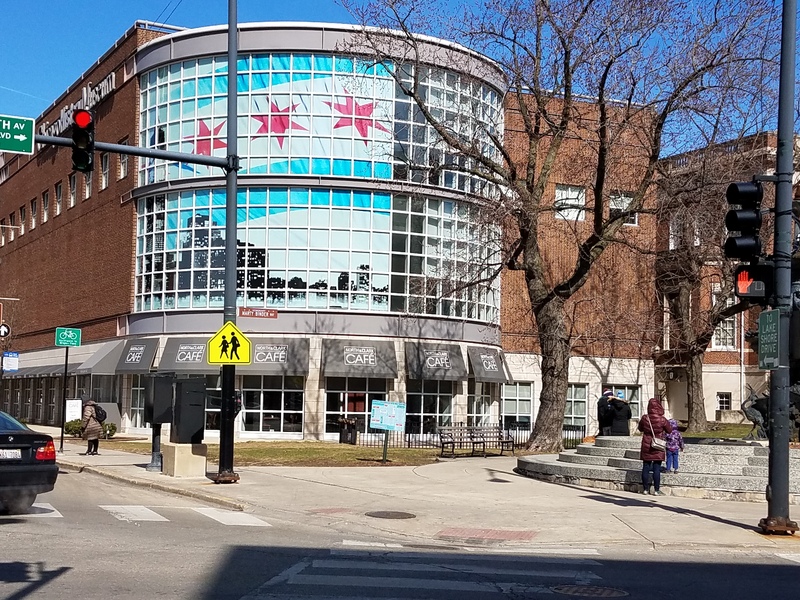 One last perk about the history museum, it has the North & Clark Cafe’ attached to the south end. So lunch without leaving the warmth was a great way to end our visit. The remainder of our weekend was spent on everyday stuff; cleaning, straightening up, visiting family, checking on the house, and even watching a Redbox movie, just Wife and I. We were all a bit worn out after our back-to-back adventures, but it was so worth it. 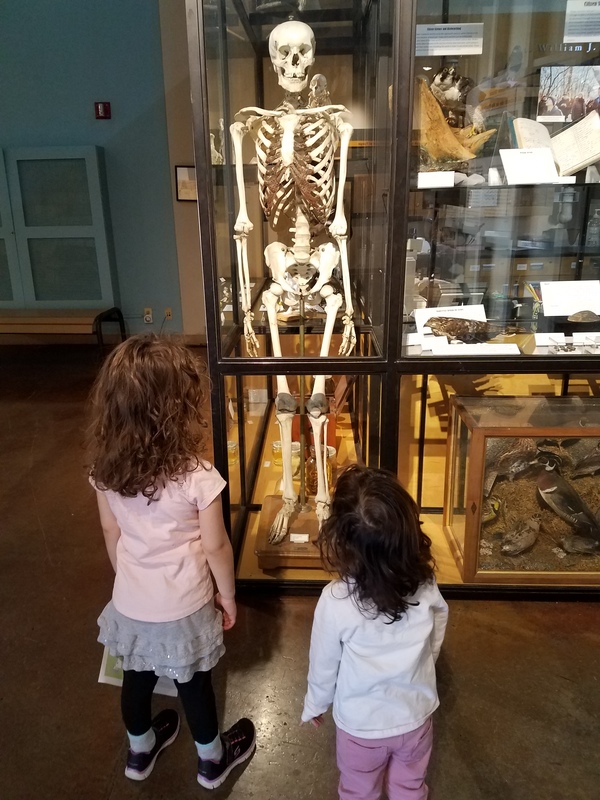 Chicago is full of museums and other great treasures for entertaining/educating your little ones, yet one more reason to love our city. Here’s to this weekend’s adventures!